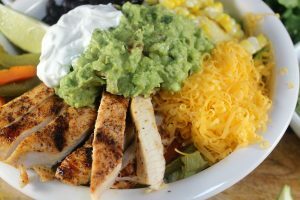 Burrito Bowls with Creamy Enchilada Sauce are so delicious with a bed of rice, black beans, grilled corn, grilled bell peppers, grilled chicken, lettuce, sour cream, guacamole, and a creamy enchilada sauce on the side to smother over everything. 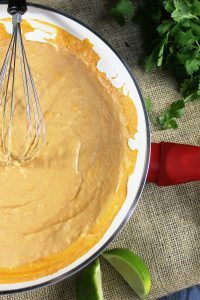 Creamy enchilada sauce was one of those amazing mistakes that ended up working out perfectly. We were making burrito bowls a few years back and the plan was to make nacho sauce for over the top and I was certain there was shredded cheese in the fridge. So I was whisking the roux and went to grab the cheese and there was no cheese. We always have cheese… how can we possibly not have cheese? Imagine Amber in freak out mode as the rice, chicken, corn, and bell peppers are all 5 seconds from being finished cooking. Plan B. I did have cream cheese and I did find a can of enchilada sauce in the pantry so creamy enchilada sauce was born. It is so yummy! Is creamy enchilada sauce a thing? I’m not even sure if its a thing or not but it should be. Burrito Bowls with Creamy Enchilada Sauce are so good and you have endless possibilities of what you can put in them. Make some grilled steak or skip an ingredient to add something different like a Pico de Gallo. There is a lot of freedom to use the ingredients you like and swap out to cater to your personal taste. Make some of our Firehouse Guacamole to go on top. Gather ingredients, prepare grill, rice cooker (can also cook in pot), foil, measuring cups, kitchen utensils, whisk, pan, cutting board, and knife. Throw 2 ears of corn into a bowl of water to soak. Soak for at least 10 minutes. Prepare the guacamole first. Try our Firehouse Guacamole recipe! Or you can buy a store bought guacamole. Fire up the grill to a medium to medium/high heat. Begin to cook the rice according too packaged directions. Set your kitchen timer because you will be busy prepping lots of other ingredients. Remove from heat when finished. Prepare the 2 chicken breast. You want to fillet them to have 4 total pieces. Sprinkle the tablespoon of chili powder and tablespoon of garlic powder on all sides of chicken. 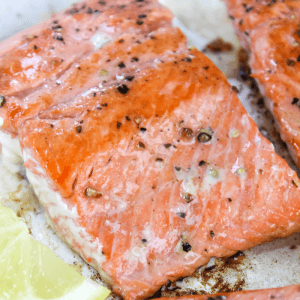 Add more or less seasoning according to your personal preference. Throw the chicken on the grill. Total cooking time will be around 20 minutes flipping when needed. Set the corn on the grill leaving the husk on. Corn will also cook 20 minutes flipping when needed. Slice the bell peppers and toss with a pinch of olive oil. Wrap in foil and put onto grill to cook 10 minutes. Cook the black beans, shred the cheese, chop the needed lettuce and finish all prep. Remove the chicken, corn and bell peppers from grill. Slice the chicken. Remove the husk from the corn ear and cut the kernels away. On a medium heat, melt the 8 ounces of cream cheese with the can of enchilada sauce. whisk until creamy. This step only takes a few minutes so I do this last. 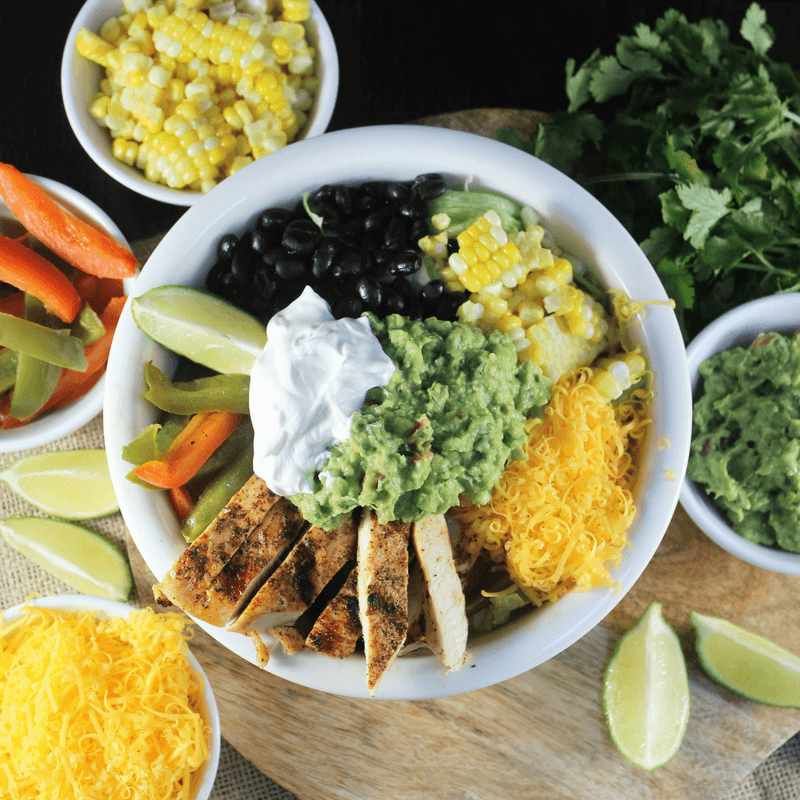 Assemble the burrito bowls starting with a bed of rice, layer of lettuce, black beans, bell peppers, shredded cheese, corn, guacamole, and sour cream, chicken and finally smother with the creamy enchilada sauce. Burrito bowls are what I have for lunch a lot – easy to make, packed full of flavour and nutrients and yours look amazing!!! Pinning!